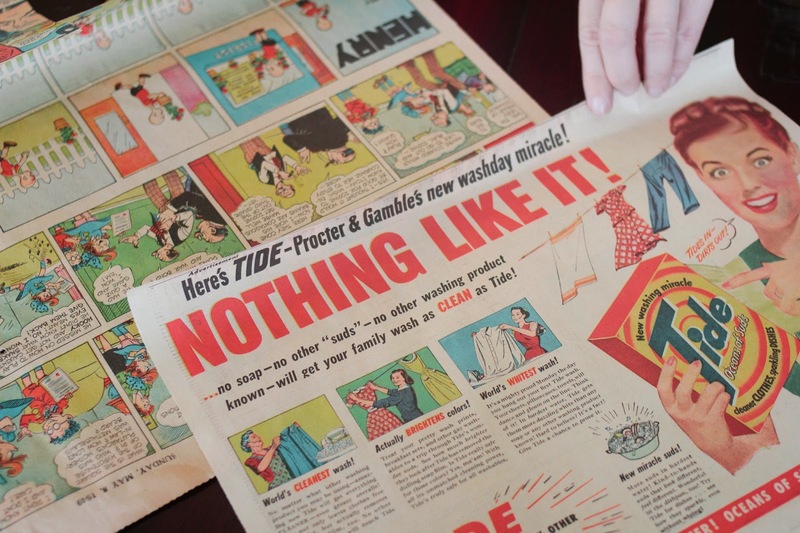 The Divine Living Space Blog: Making Laundry Fun! 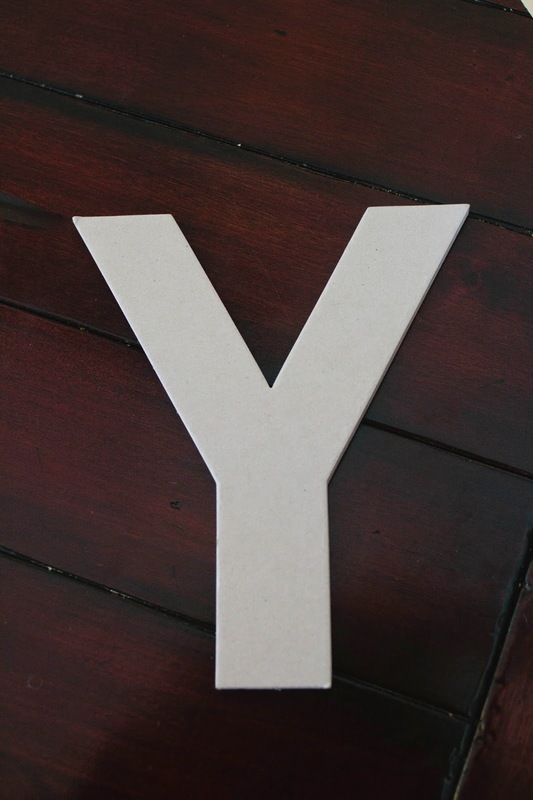 Today's blog post is brought to you by the letter "Y" as in laundr-Y! Last fall, my dad bought a lake home that needed a major overhaul. When they were tearing out the walls, they discovered the walls were lined with newspapers (a.k.a. insulation). The home was built in 1949, so guess what? The newspapers were dated: May 8, 1949. Crazy cool, right? Of course when offered some, I gladly accepted and tucked them in a safe place until I had just the right project to use them for! Yesterday I was wandering around our local Hobby Lobby and came across the paper mache letters seen above. They were SUPER cheap.. around $1/piece and I instantly had a plan for the newspapers! I took the paper and literally wrapped them like a present around the letters. I think I may have to put some sort of clear coat over them eventually, but for now, the letters aren't getting handled so I think they are ok. 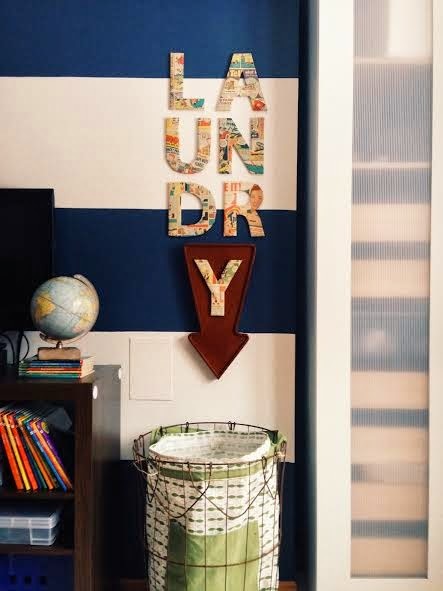 The boys had been wanting a laundry basket in their room so they didn't have to keep coming into our bathroom to throw their clothes in the hamper. Lucky them… I picked up this awesome wire basket from our local Junk Hunt last fall (that I was patiently waiting to find a spot for it)…If you are anywhere close to Duluth, you have to check it out.. So many great finds!!! I had a large cloth wall hamper that I got from Ikea YEARS ago. It doesn't fit perfect, but works for now until I get a chance to sew them a new liner! The arrow is also from Hobby Lobby. My original vision was to do an awesome Marquee light, but with a price tag of over $200, I just couldn't justify that for a kids wall! Picked up this arrow up for less than $20! Come "like" us on Facebook and "follow us" on Instagram! Linking up to Classy Clutter!! !